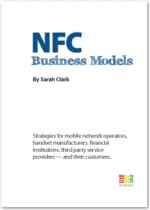 The NFC Report is an in-depth research study, published in 2012, that provided information on every aspect of the fast emerging new technology of NFC — the business, the technology, the applications, the players, and the future of the market. The NFC Report examined in detail the issues affecting the development of the NFC market and provided a comprehensive education in how the technology works, the business models being adopted by key players in the industry, the current status of the market, and the issues that would affect future growth. 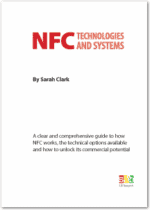 This 98-page report explains in detail the technology behind NFC and is designed for business executives seeking to understand how to take advantage of the functionality this technology offers for mobile payments, marketing, information sharing and beyond. This 2011 research report provided readers with strategies for mobile network operators, handset manufacturers, financial institutions, third party service providers — and their potential customers. 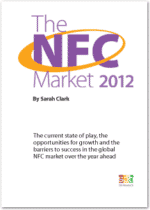 This research report, published in January 2012, examined the current state of play in the international NFC market, the barriers to success and the opportunities for growth in the years ahead.